I started my journalism career interviewing bodybuilders and fitness competitors, aka physique athletes, about their training and their diets. This was before #eatclean was a popular hashtag, and Paleo was a diet trend. They would bring coolers of food to photo shoots, with baggies of chicken, meatballs, and vegetables. Here was a group of people who knew that eating simple, unprocessed foods (I am not including any supplementation) would help them feel good and get them through their grueling workouts. I was always amazed by their dedication to spend one day preparing food to eat for the week. I never thought I would do that. In fact, when I don’t I’m completely lost on what to eat; especially when I am tired…and I am tired a lot. The truth of the matter is, during these times I hate thinking about food, about what to eat, about what to feed my family, about whether I really should be eating (insert foodstuff here). But I learned something when I was doing the Whole 30 in 2014, if I had food made beforehand, eating was a no-brainer. During the Whole 30, I would get ravenous out of the blue, so throwing together pre-cut veggies, or baked chicken, was simple. I have always been a fan of assembly eating, which means you assemble your meal without the prep of chopping and cooking (I don’t count microwaving as cooking). Maybe it’s because I grew up in a house where leftovers were a regular dinner option. 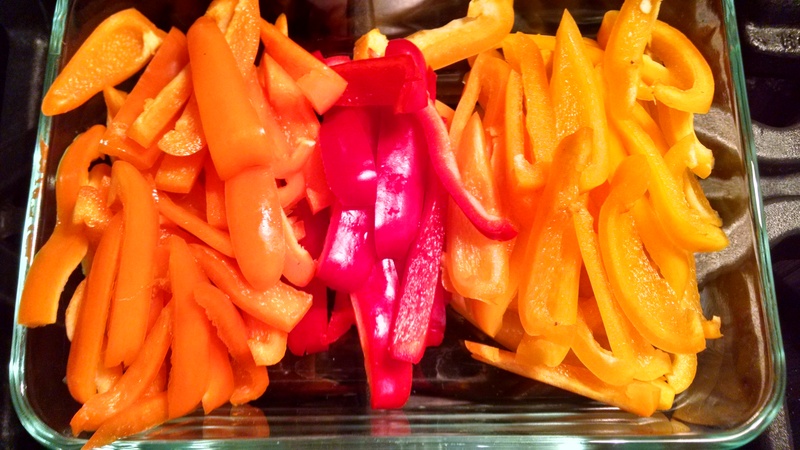 Prepping food for the week is a lot easier than it sounds. My staples are baked chicken breast, hard-boiled eggs, rice, beans, and chopped vegetables. I have a friend who blanches green beans and other vegetables on Sunday but I find if I chop them, I can either eat them raw or cook them as I want. Having these things on hand makes cooking easier and faster because it eliminates a step, allows for easy snacks, and helps when you aren’t feeling well (so glad I made rice this week). Basically, the whole process takes about an hour thanks to my oven and my Instant Pot (the most brilliant gadget for a New York kitchen ever!). Most of the time is hands off; not to mention, an hour is how much time it usually takes me to make a dinner from scratch. So while I am not striving to strut on stage in a sparkly bikini or take before- and after-photos, prepping food for the week just makes eating during the week a no-brainer, especially when life and my health is throwing me curveballs. Next To Juice or To Blend?